I have been trying for the longest time to find some people in our area that know of some trails without any luck. It seems like no one around here like off roading. I live here in Riviera. That is near Kingsville and just about all the land out here is privately owned. Lately the only trail I have ridden is my dive way which is all dirt and about 100 yard long. Trying to get a PINS run going in late July. Any interest? What kind of info do you have for the trip. Such as dates start and end, starting point and anything else. I know I would give it one hell of my best to make it. No details yet, trying to see interest before putting it all together. Prolly a 2-3 day trip the last weekend of July. I'm from San Antonio area, but figured we could meet up with some people along the way or down there. I'll have my jeep, maybe a buddy's JK. 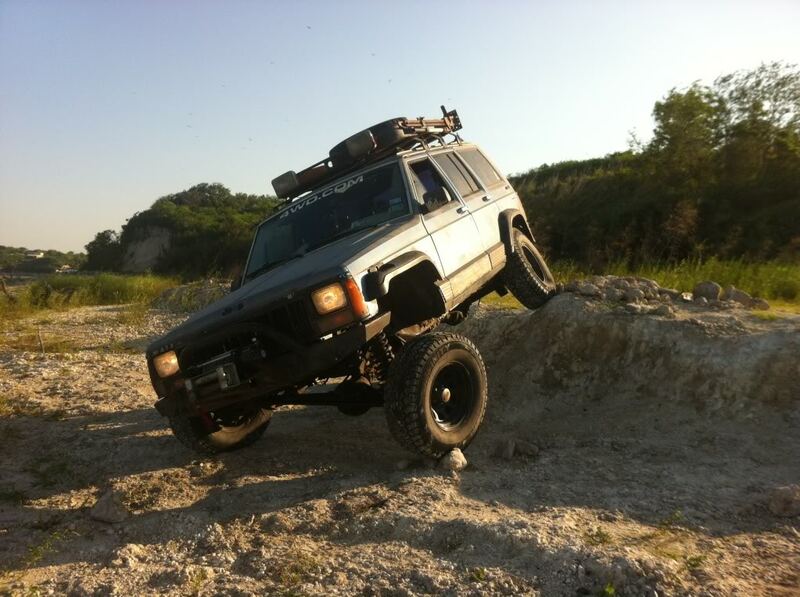 Planning to campout, do some surffishing, and of course, get the jeep dirty. I'd like to go down and thought it'd be cool to get some other guys in on it as well. Last edited by danjr2010; 07-02-2012 at 02:07 PM. Still no other takers. I live right across the road from the water. Plenty of places to fish down here but no place to go wheeling. Before moving to South Texas I lived in SoCal. I do have to admit, S. Texas Blows for wheeling compared to SoCal. Down here everything is privately owned and flat! not many hills to wheel on. I hope more people take you up on the trip. I would still be interested depending on when it would be set for. Hopefully a few more people will want to go too. I live in corpus and just bought a 99xj, as for trails there isn't much left anymore. Used to have Oso creek but it got developed. Used to have mud bridge but they blocked it off. Used to have sea pines but it got developed too. Fish pass can get pretty muddy but we hasn't had any rain, so maybe in a week or so. There's Charlies pasture in port a but hasn't been there in prolly 8 years. And the tracks out holly got turned into a bike trail. I'm interested in joining on a ride sometime so let me know. Grimace needs some work cause she's pretty much stock but I'm not afraid to get stuck. the tracks out holly got turned into a bike trail. Did they really? I moved back down here to CC from out in west TX not too far from there and haven't been out there since. Are you talking about the ones that were way out there where Holly and Paul Jones meet?